Our son has had seasonal allergies for as long as I can remember. And he has severe allergies. If he has an attack, his eyes get so red, itchy and watery and even gets to the point of puffiness that his eyes will swell shut. Never mind the runny nose and itchy throat that makes him cough and sometimes causes respiratory illnesses. As long as he takes his allergy meds regularly, he doesn’t have many issues. Every once in a while he may still have an attack but it’s not as severe like it is without them. He has played both Spring and Fall soccer every year since he was 5 years old. When he was almost 9 and moved up in age division, we eventually discovered another issue. When he moved up in soccer, they were on a much, much bigger field. There were more rules and they were learning tons more about the game. It became more competitive too. One of his first couple games, he started coughing. At first we didn’t think much of it. It wasn’t much of a cough. But by the time we got home, we had to take him into the emergency room. He couldn’t breathe very well at all. He had a couple breathing treatments while in the hospital and chest x-rays. His lungs were clear but the doctor decided to treat him for pneumonia but he diagnosed him with Asthma. It’s mainly sports induced but he was given an inhaler. He’s had an inhaler ever since then. 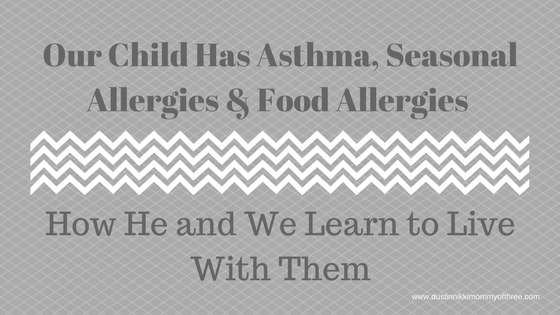 It’s mainly used before soccer practice and games and it’s also used just in case he needs it because his asthma is triggered by other things like his seasonal allergies if he has an attack or if he’s outside running around for too long in cold weather. 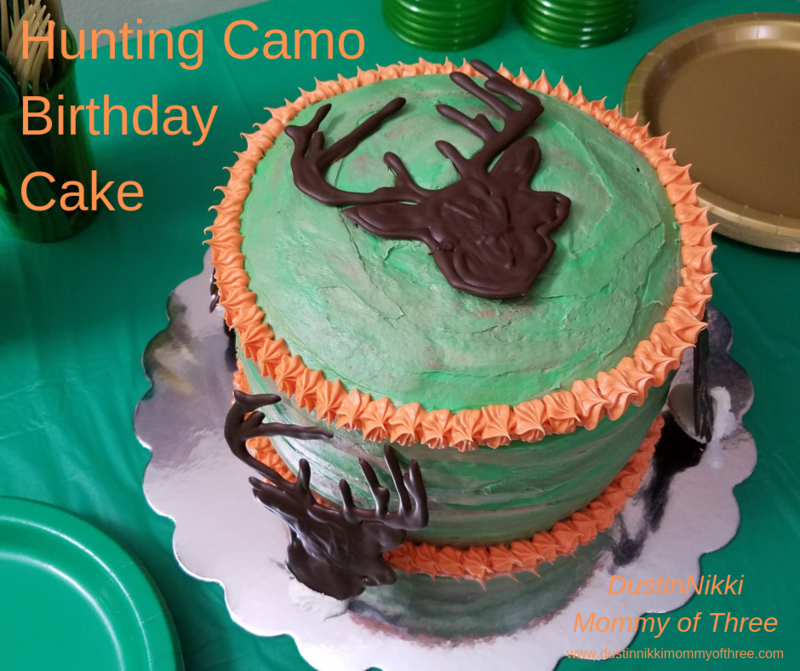 It was a scare for both my husband and I and our son. He almost had a panic attack the first time it happened. It didn’t take him long to learn to remember his allergy meds every day (he didn’t take them by himself until he was older) and didn’t take him long to learn the importance of the inhaler. We immediately let him carry it with him. When he was at school though, he wasn’t allowed to carry it in elementary school but we had one left at the school for him. He became very aware of when he needs it. He has never needed it in school though. Now we come to about a year and a half later. We were sitting at the dining room table one night eating dinner and out of the blue he says, “Every time I eat fish, my throat hurts and feels scratchy.” I don’t even know why he said it because we weren’t even having fish. So we talked to him about it more and decided to give his doctor a call just to look into what he was saying a little further. While we were waiting for his appointment (which was a couple months out), we just told him to avoid fish. It wasn’t hard at home because we rarely had fish at home and if they had it at school, we just packed his lunch. So things seemed to be just fine for a while. We just went about our days with no issues or anything. One night I had some macaroons and our son wanted to try one. I gave him one. It was a strawberry one. Not even 5 minutes later he starts freaking out. His throat is tightening up, his stomach was in pain and he started vomiting and he was having trouble breathing. Off to the ER. Long story short after learning he was having an Anaphylaxis reaction, we end up getting into see his doctor the next day and a few days later in to see an allergist by doctor referral. He was tested for environmental allergies (which would be the seasonal) and came back he was highly allergic to just about everything. Tested him for peanuts, tree nuts, fish, seafood, shellfish, the whole nine yards. She tested him for every category you could be tested for. Turns out our son has a fish, seafood (shellfish) and tree nut allergy. There were very few ingredients in that macaroon and almond oil was the only thing that stuck out with me. Well, that ended up being the problem since he has a tree nut allergy. Peanuts are okay though. Obviously, since he’s been eating peanut butter ever since he was little. His allergist is amazing. She was very informative and very helpful. I loved how she made sure we knew as much as possible but at the same time, she made sure our son understood everything as well. Our son is almost 12 now and is very aware of what’s going on with himself. He’s very aware of what to eat and what not to eat. He checks ingredient labels with everything he’s never eaten before. He has a pretty good grasp on this whole thing. After only the first week of finding out about his food allergies, he took it upon himself to read the label of something before I did. I was pretty impressed. Then he tells me he can’t eat it because it has almonds and pistachios in it. I double checked it and he was right. He read everything correctly. He wasn’t too terribly upset about it but I think it’s because he knows what will happen if he eats it. Of course he’s older so a younger child might be a bit more upset about those kind of things. Below I want to give you some tips on learning about food allergies. These tips are from our experiences with our son so depending on the age of your child, you may have to do things a little differently. Tip #1 – First and foremost, listen to your allergist. Our son’s allergist is amazing as I already stated. Don’t be afraid to ask questions. Our son’s allergist even told us about the FARE website which is a great resource for food allergies and action plans. I recommend checking this site out and keep it handy for reference. Tip #2 – Be aware of foods and make sure your child understands they should not be eating foods unless approved by parents or other caregiver that knows what’s going on. When it comes to some food allergies that include a lot of different foods, it doesn’t necessarily mean someone can’t eat certain things from that group. For example, with my son’s tree nut allergy, he has always been able to eat pecans and walnuts. But he absolutely can not eat almonds and pistachios. Other tree nuts we are not sure of. 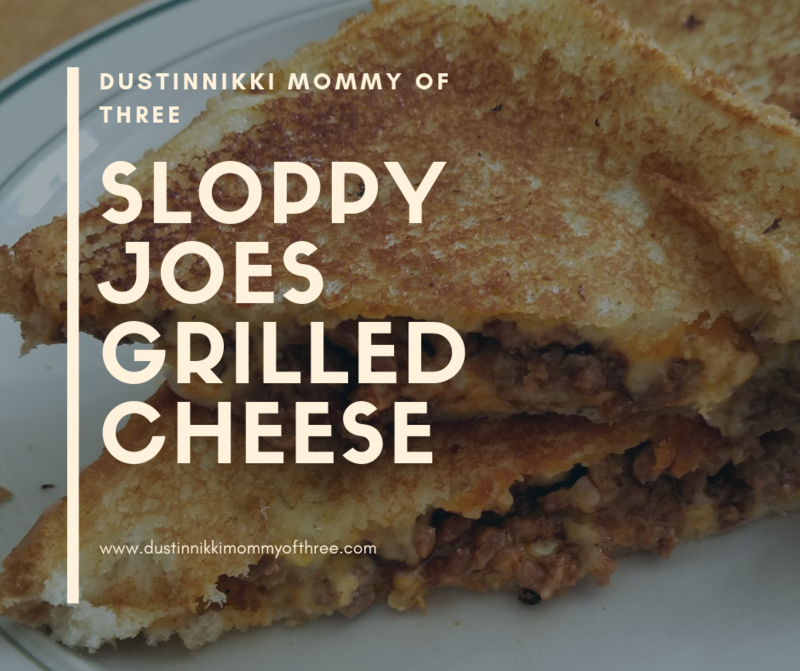 His allergist told us that as long as it’s something he has eaten before, he can still eat. But if it’s something we know he has a reaction to, he is not to eat it. Obviously. The same goes for other tree nuts we don’t know one way or the other. If we don’t know, do not eat it. And the biggest rule, just avoid everything with tree nuts even if it’s something that only contains the ones he’s okay with if he’s not at home. 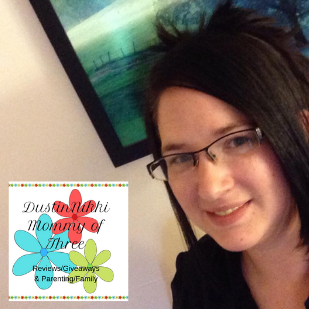 Tip #3 – Talk to your child. Make sure he/she knows food allergies are normal. Lots of people have them and it’s nothing to be ashamed of. Tip #4 – When talking to your child, talk to them about their allergies in an age appropriate way. Long, weird medical terms may scare them depending on the age of the child. Make sure they know they can feel safe knowing there is a plan in place so that if any situation arises, it can be handled correctly. To go further into this make sure if your child has an Epi-pen he has a full set (2 pack) at home and a 2 pack at school. Most schools won’t allow a child to carry medications back and forth to and from school until they get older. Make sure you talk to the school nurse with your child. That way your child also knows the plan and can get to know the school nurse as well. 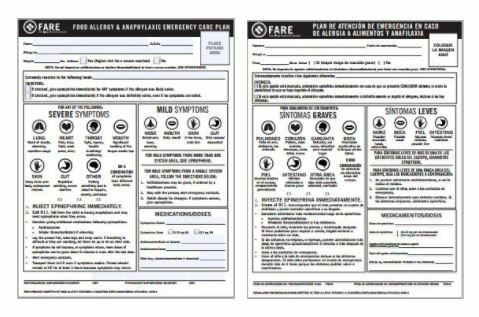 Tip #5 – Download and use the Food Allergy & Anaphylaxis Emergency Care Plan from the FARE website. Our son’s allergist printed out a copy of this plan and filled in the information on it for us. Our child’s name, what he’s allergic to, when to use the Epi-pen, etc. It even lists all the symptoms of anaphylaxis symptoms. On the form is also an area to write down medications and there is also an area you can write down all emergency contact information. There is also a second sheet explaining how to use the Epi-pen injector. MAKE COPIES. Give copies to anyone your child may visit. I gave a copy to all family members our son will sometimes stay with. I also keep a copy with his Epi-pens for when he goes to a friend’s house. I even went as far as talking to his friend’s parents and making sure they have a copy because he sometimes spends the night at their house. Tip #6 – Teach your child to tell others about his food allergies. Teach them to talk openly about it with other people. Their friends, family members, teachers, whoever your child is around. That way they also get used to telling people so that as they grow up and meet new people or go to restaurants or hang out with friends somewhere with other people they don’t really know, they are in the habit of letting people know. And for younger kids, it is important to make sure they know when to say no to certain foods if they are offered. Tip #7 – Get them involved with foods. Teach them to learn how to read labels. This is very important because it’s something they are going to need to learn to do as they get older. I am so glad our son has picked this up quick. Also helping in the kitchen cooking allergy free foods. This way they have a better understanding of what foods are safe to eat. Tip #8 – Practice with the Epi-pen. Every Epi-pen pack comes with a trainer injector. Our son has practiced with his many times. He knows how to do it. Even though he knows what he is doing, we still have him get his trainer out every once in a while to practice a few times anyway. Make sure you practice often and make sure your child practices often. He’s never had to use the real thing since his hospital trip and I hope he never has to. But it’s best to be prepared. Tip #9 – Make a kit. Your child is going to have to get used to carrying an Epi-pen through the rest of his life. Getting them in the habit right from the beginning is best. Now, since our son (until this year) has been in elementary school and they have a policy that they don’t allow them to carry with them. So for every where else, he has carried this kit with him. We have a drawstring bag that he carries his Epi-pens and inhaler in. Along with a copy of the emergency care plan. If he goes over to a friends house, his allergy meds for his seasonal allergies are in there too. 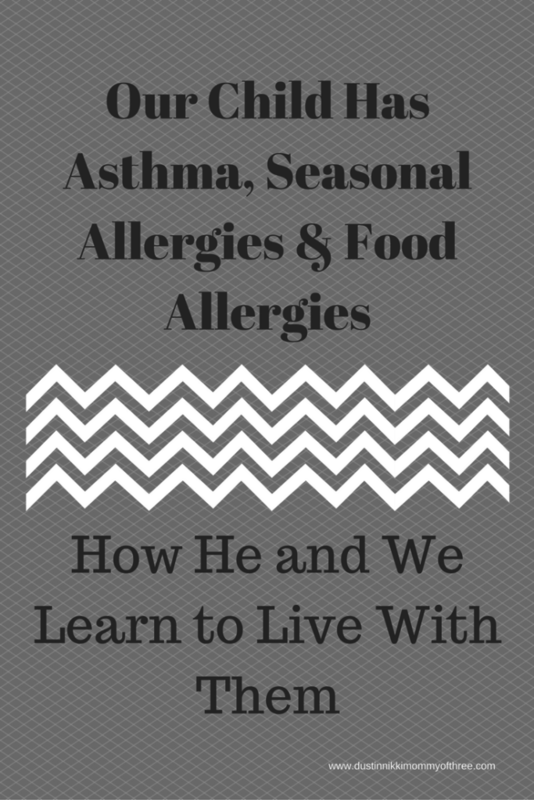 We have been so proud of our son for dealing and learning about his allergies as well as he has. He’s very aware and he doesn’t let any of this keep him down. He has a normal life for an almost 12 year old. He still plays soccer and has fun doing it. He’s been very vocal about his food allergies and knows what he can and can’t eat. He goes back to his allergist soon for a checkup and to renew any prescriptions and now since he’s at the Middle School (5th grade) he can carry his Epi-pen and inhaler with him at school as long as his allergist approves it after she sees he knows what he’s doing. It makes me feel better knowing he doesn’t need to wait if something happens because his Epi-pens are being held in the school office. Hopefully these tips can help someone. 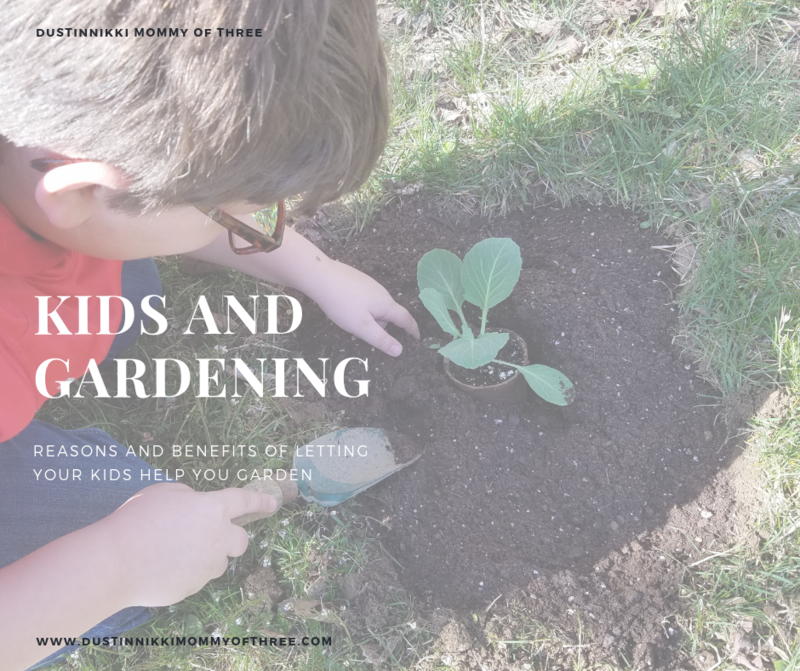 NOTE: Remember, these tips may also need to be done differently depending on the child and I also came up with these tips from our experiences with our now almost 12 year old and the help from his allergist. I am not a doctor and I am not an expert.